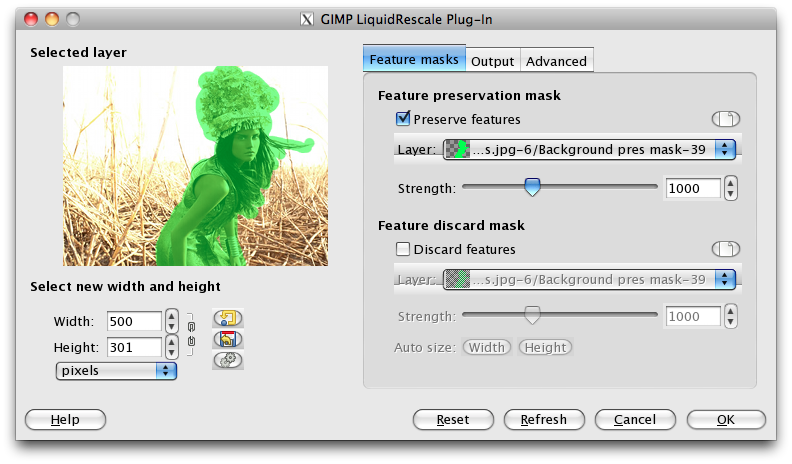 In this tutorial, I will show you how to selectively enlarge parts of an image using Gimpshop’s Liquid Rescale feature. 1.) First, open the picture you want to edit. Go to File > Open. A pop up box will open. Locate the file in your computer directory and click Open. The image you selected will appear on a new canvas. A new dialog box will pop up. 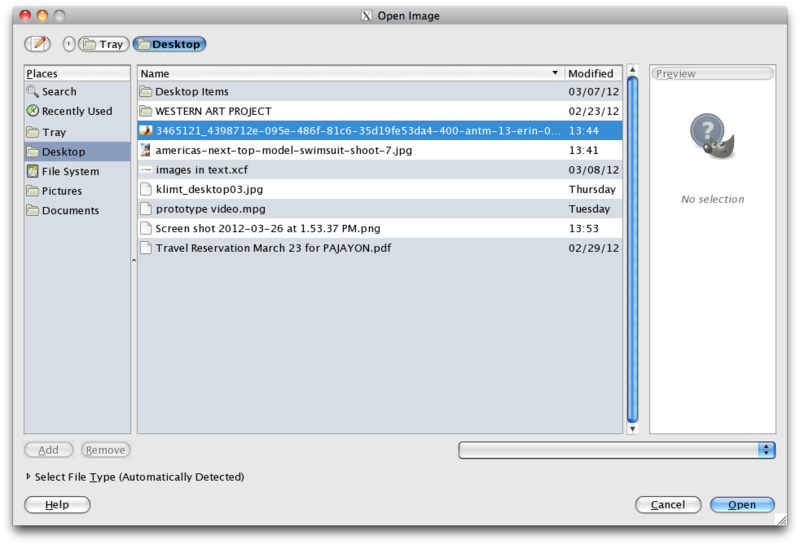 Edit the output size. 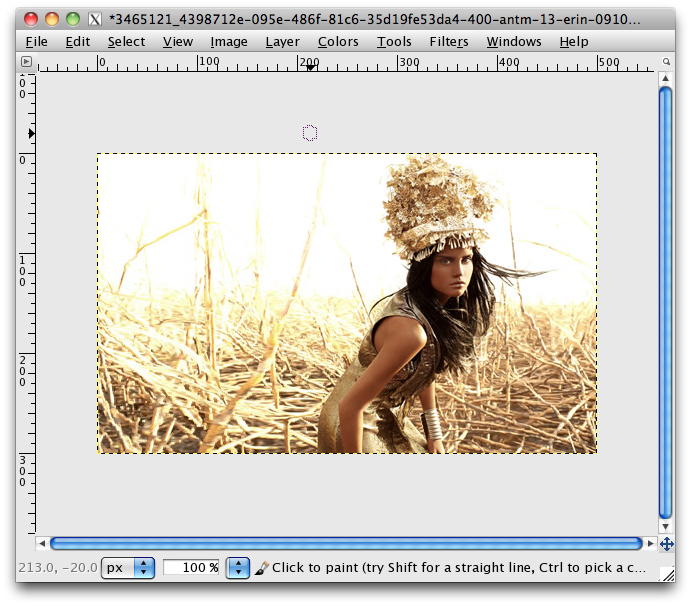 In this tutorial, I set the new width from 400 pixels to 500 pixels. 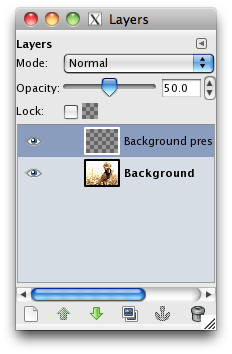 Afterwards, click the new layer icon on the right side of the dialog box. Afterwards, go back to your canvas (Do not click OK yet). 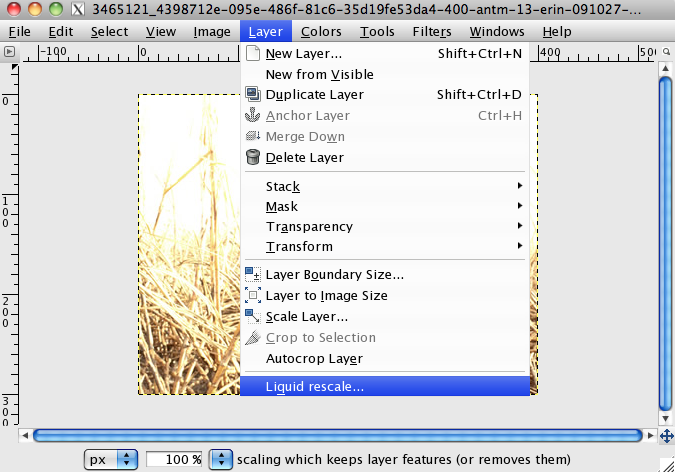 You’ll notice in the Layer Dialog Box that a new layer has appeared. This is the preservation mask layer. If you can’t locate the Layer Dialog Box, go to Windows > Dockable Dialogs > Layers or simply Press Ctrl + L. 3.) Using the Brush Tool, paint over the parts of the image which you want to stay in its original size. 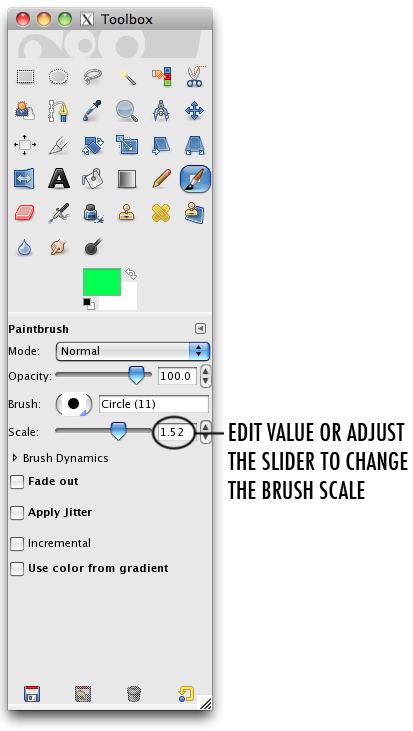 If the brush size is too small, you can adjust the scale in the brush options. 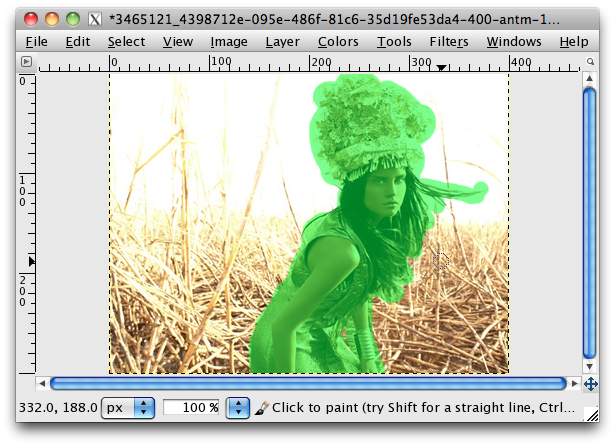 The areas that are covered with green will not be affected when you resize. 4.) When you’re done, go back to the Liquid Rescale Dialog Box and click Refresh. You’ll notice that the picture displayed will be updated with the green areas. 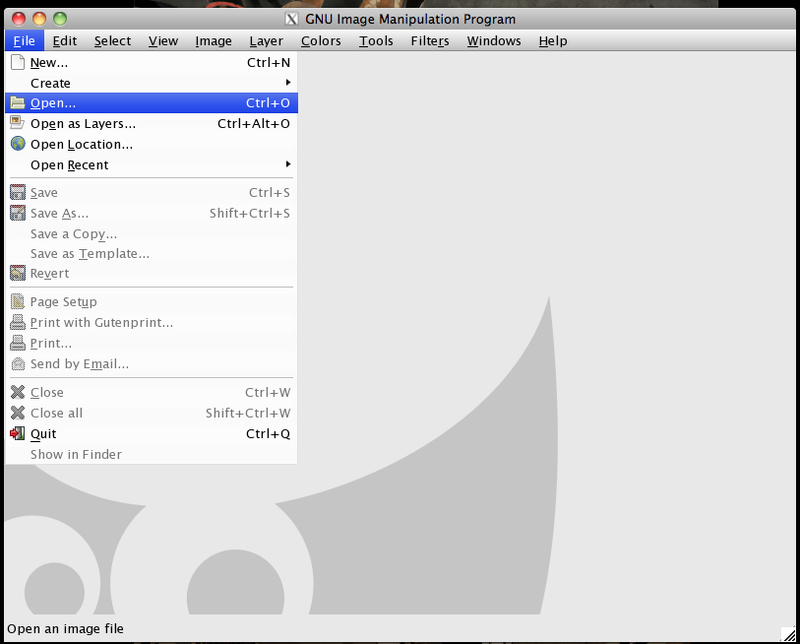 Afterwards, click OK. You’ll notice that the canvas will have been resized to the new output value. The area that you had masked will have preserved its original proportions. Here’s a quick comparison of the original image followed by the rescaled image. Great! 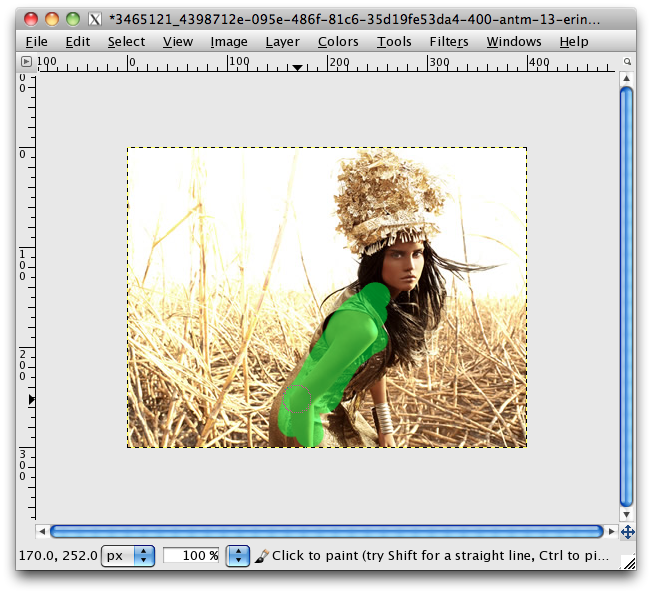 Now you know how to selectively resize parts of your images using Gimphop. Watch out for more cool tutorials on this site! This entry was posted in Gimpshop, Photo Editing, Tutorials. Bookmark the permalink.